It has been a very exciting week in the offshore drilling sector, most notably because we saw four different major offshore drilling companies get awarded new contracts. These contracts were primarily for harsh-environment semisubmersibles, which is an area that has been seeing a lot of attention over the past year or so, but do provide us with a clear indication that the offshore drilling industry has begun to recover. This is something that we have been waiting for a long time as the lengthy industry downturn has been forcing multiple companies either into bankruptcy or mergers with larger entities. 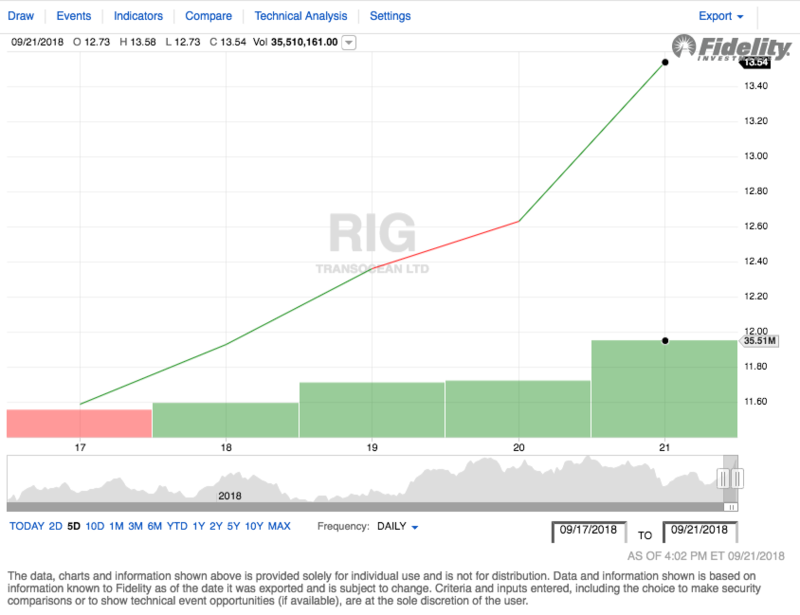 Now may be the time for investors to pull the trigger however as profitability looks to be slowly coming, particularly for those companies that own harsh-environment rigs. 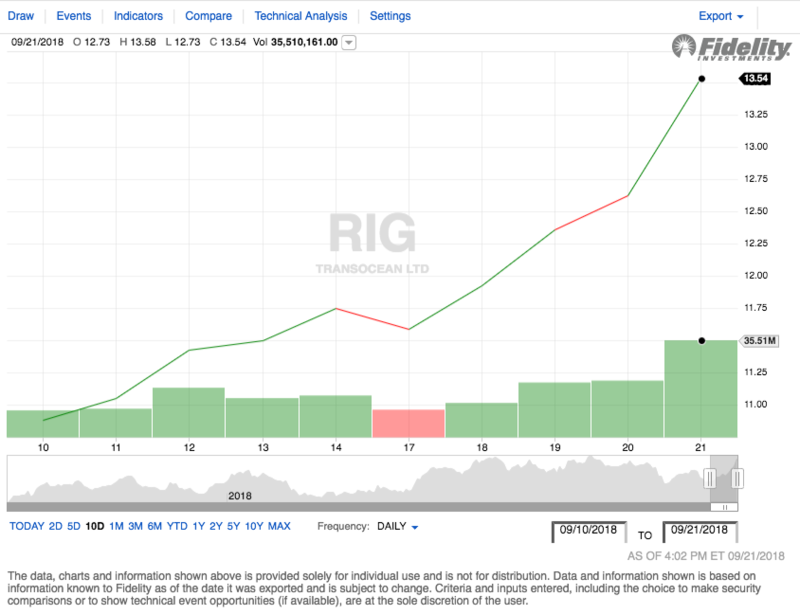 On Monday, September 17, 2018, Transocean (RIG) opened at $11.87 per share. The stock climbed on every day over the course of the week, with its sharpest gain coming on Friday. Ultimately, Transocean closed out the week at $13.54. This gives the stock a 14.07% gain on the week, a very respectable performance. Transocean's stock performance was largely positive over the trailing two-week period. In fact, the stock only saw one day in which its share price declined. Transocean opened at $10.91 on Monday, September 10 and climbed to $13.54 by Friday, September 21. 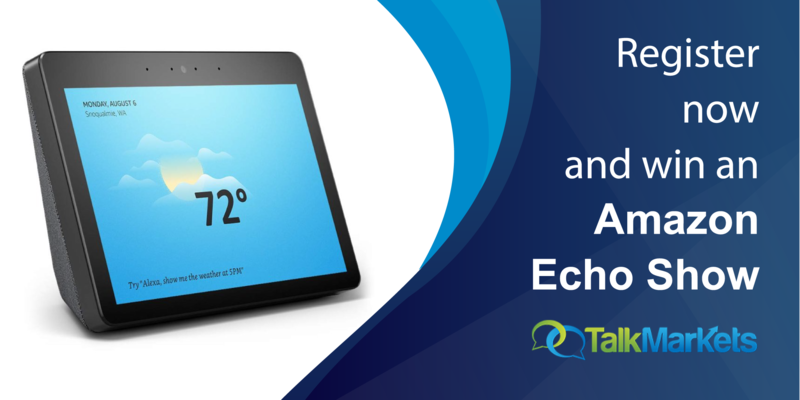 This gives the stock a two-week gain of 24.11%, which any investor should be able to appreciate. One of the biggest pieces of news that the company reported was that one of its new rigs, the harsh-environment semisubmersible Transocean Norge, secured a 300-day six-well contract with Norwegian energy giant Equinor ASA. This contract should prove to have a positive effect on the company’s cash flows once the rig begins working on it next Spring. It is also one of the four contracts that we saw get announced over the course of the week. Disclosure: I have no positions in any stocks mentioned in this article and no plans to take any positions in any stock mentioned in this article within the next 72 hours.